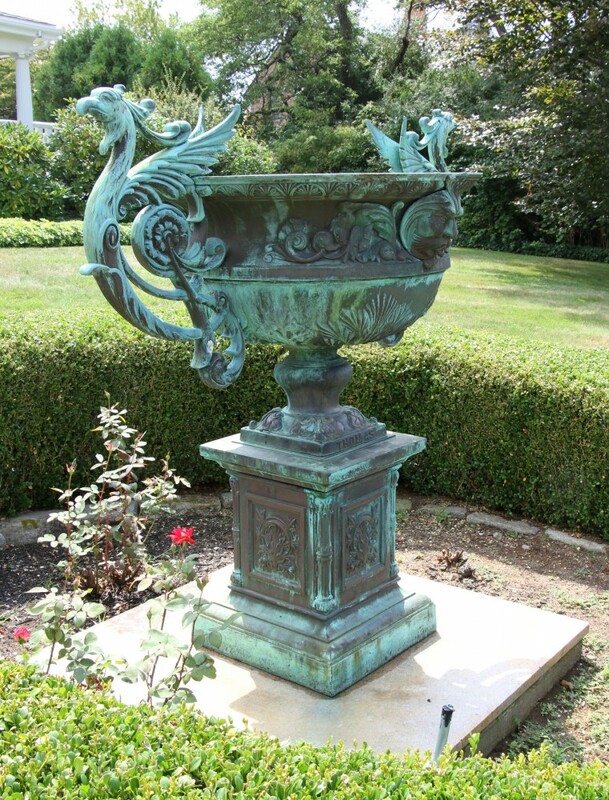 A 19th century, 62-inch-tall solid bronze urn manufactured by Ames Foundries (Chicopee, Mass. ), elaborately decorated with phoenixes and Green Man medallions, sold for $9,600 at a sale of the estate of Count Jochen Von Haller held Sept. 17 by Kaminski Auctions (based in Beverly, Mass. ), on-site, in Gloucester, Mass. Also, a ladies' graduated diamond necklace, 24 carats, rose to $10,220; and an oil painting by Emile Albert Gruppe (Am., 1896-1978), titled Bass Rocks, Gloucester, Mass. (1939), hit $9,000. Prices include a 20 percent buyer's premium. 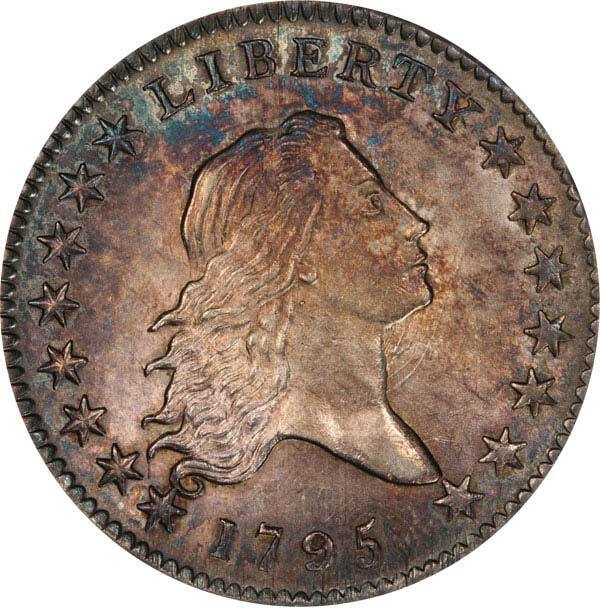 A 1795 U.S. 50-cent coin, graded PCGS MS 63, sold for a record $176,250 at Regency Auction 18 held Sept. 29 by Legend Rare Coin Auctions in Lincroft, N.J., in conjunction with the PCGS Members Only Show. Also, an 1896-S U.S. Morgan $1 coin, graded PCGS MS66, realized $111,625; a 1901 U.S. $2.50 gold coin, graded PCGS PR69, went for $105,750; an 1870 U.S. $3 gold coin, graded PCGS MS65+, brought $67,562; and an 1851 U.S. 50-cent coin, graded PCGS MS67, changed hands for $57,500. Prices include a 17.5 percent buyer's premium. An English wooden Grodnertal doll with embroidered hidden coin pocket made in 1739 sold for $44,000 at an auction of the Estelle Johnson wooden doll collection held Oct. 1-2 by Theriault's in Annapolis, Md. 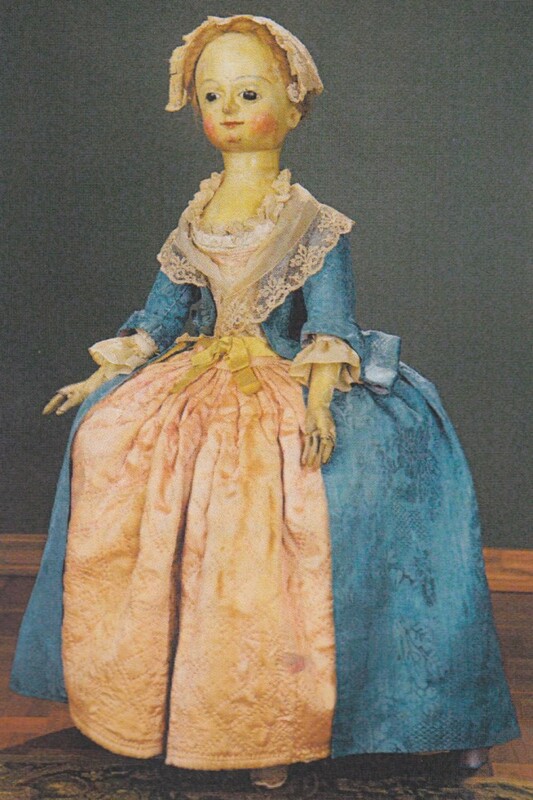 Also, a poupee doll by Adelaide Huret, enhanced by an early original silk costume including a parasol and leather shoes, finished at $28,000; and a 15-inch-tall wooden Grodnertal doll with original costume including an embroidered coin pocket and unusual woven bonnet changed hands for $18,000. Prices include the buyer's premium. 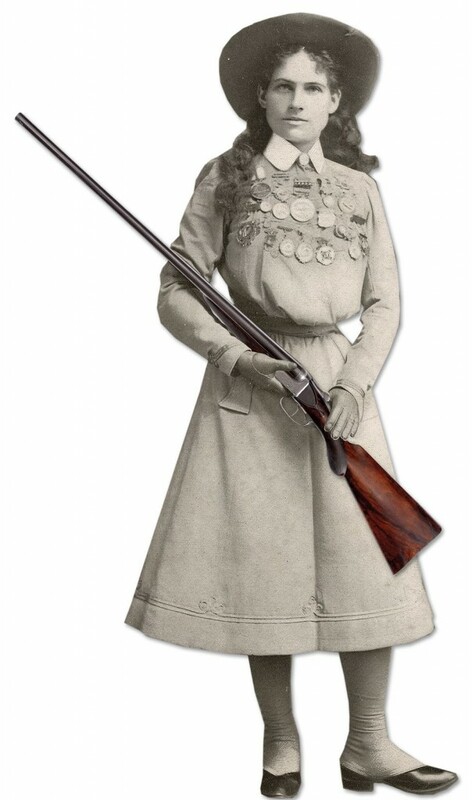 Annie Oakley's personal 12 gauge William Cashmore Boxlock shotgun sold for $207,000 at back-to-back Firearms Auctions conducted by Poulin Auction Company (Oct. 1-3) and James D. Julia, Inc. (Oct. 4-7), both in Fairfield, Me. Also, a Colt 1883 U.S. Navy Gatling Gun on its original bronze base commanded $174,800; a Vietnam War trophy Chinese type 56 machine gun rang out at $132,250; and a Krider LeMat pattern revolver SN 2, believed to be Col. Alexander LeMat's personal revolver, hit $120,750. Prices include a 15 percent buyer's premium. 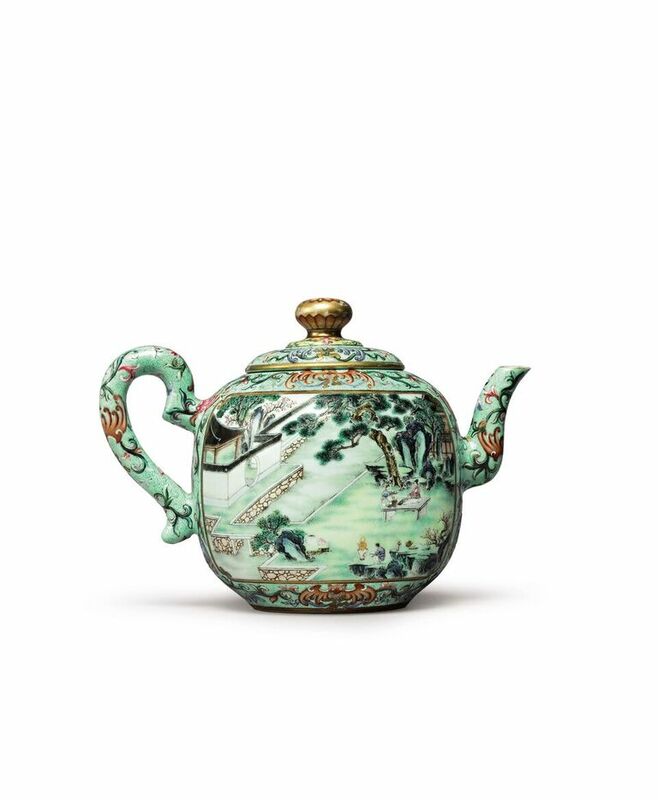 A Chinese turquoise-ground famille rose 'Hui Mountain Retreat' teapot and cover, with the Qianlog seal mark and period, sold for $3.49 million at a Chinese Art Auction held Sept. 13 by Sotheby's in New York City. Also, an 18th century gilt-bronze figure depicting the Fifth Dalai Lama finished at $1.51 million; a pair of Wucai and Doucai 'Dragon and Phoenix Bowls' with the Yongzheng marks and period fetched $874,000; and a Portuguese market blue and white bottle vase dated 1552 made $418,000. Prices include the buyer's premium.